The leader of the California State Senate says the legislature's passage of landmark gun control legislation now makes Lt. Governor Gavin Newsom's ballot measure on the same issue "irrelevant." "We've done our roll," said State Senate President Pro Tem Kevin De Leon. "Any individuals who want to further their own political interests, that's their own business. But we have taken care of business and as far as I am concerned any ballot measure in the fall is irrelevant." De Leon and Newsom, two of the state's top Democrats, have been in a feud over how best to address the issue of gun control. Dan Newman, a spokesman for the Safety for All Act slammed De Leon as being "sickeningly cynical" for insuring that even if the ballot measure passes, the law passed by the legislature will supersede the initiative's regulation of ammunition sales. De Leon says he wasn't familiar with Newman, adding that if Newsom wanted to discuss the issue he could "pick up the phone, anytime." "I'm not into political gamesmanship," he said on NBC 4's News Conference Sunday morning. De Leon's dismissal of Newsom's gun control ballot measure comes despite the inclusion of an element in the initiative he favors. Currently, as a result of Proposition 47 passed in 2014, anyone who steals a gun that is worth less than $950 can only be charged with a misdemeanor. The Newsom ballot measure would increase the penalty to a felony. While agreeing that penalties for stealing a gun need to be increased, De Leon said the legislature this August will work to submit its own measure to achieve that goal. "We are going to try to do that again later this year, We have to go back to voters to do that but we are willing to do that," he said. 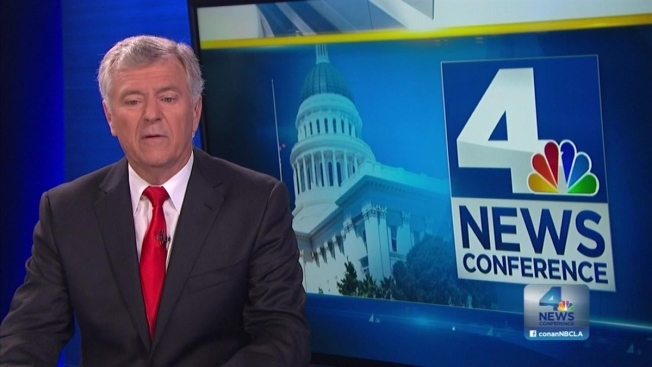 Also appearing on the program was Los Angeles County Supervisor Hilda Solis on the region's minimum wage increase, now in effect, and Los Angeles City Councilman Mike Bonin on the city's proposed bond issue for homeless services.